Here's one: is glacial till to be simulated in the game with world generation? If so, how detailed is the simulation? Steady progress is the way, folks. I see important things happening here and that's all I need to know. When I click to enlarge the photos I can't seem to scroll down to the bottom of the picture. It just scrolls the page behind it instead. Is there a way to fix this issue? I love the communication concept with proximity chat etc., yet I am kinda concerned about external communication, e.g. through Discord or Teamspeak. 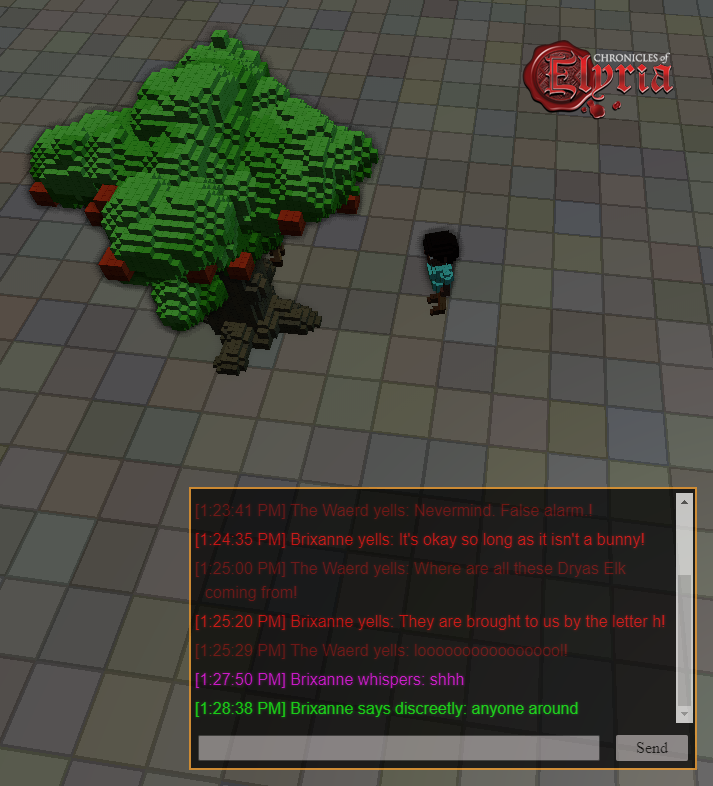 If players use such programs while playing, they gain a huge advantage over people sticking to their role and keeping communication in-game, for example when plotting something secretely or communicating with somebody over long distances. Thus both couriers and chatting discretely in-game become pretty much unnecessary for such players. Because why would I send a message to my King in-game warning him about an enemy invasion when I could simply send him a message through Discord, which he would recieve immediately? Isn't there any way to prevent this? E.g. by blocking access to these programs while CoE is running? I know this might be quite controversial, but I feel like this breaks the immersion and pretty much makes systems like proximity chat or postal services unnecessary. Of course there'll always be several methods to avoid these restrictions, I am aware of that, yet I still think some restrictions would be beneficial to the game. Caspian talked about the effect of VOIP on the game's systems in detail a long time back, in ye olde design journals (I can't find the particular one, though). His view, basically, was that it'll happen and you can't stop people from direct messaging or sharing stuff out-of-game. However, there will always be the requirement to engage with the world using the in-game communication tools, due to the presence of NPCs and mechanics being connected to in-game data. So, just because you heard on discord that someone is a murderer, that information is meaningless in-game - and you would have to send a courier, or a letter, or travel yourself, to transmit that information to other characters. Similarly, NPCs will essentially always be the majority of the population or a significant minority, enough that you will never be able to entirely avoid dealing with them. Commanders in battles will have to transmit orders in-game to their NPC soldiers, traders will have to write up contracts, you'll have to use gossip tokens in towns, etc. In general it should soften the effect that you would have if the game was 100% players and you could instantly transmit information across the world and have it acted on. Posted By **Florin** at 05:18 AM - Thu Jun 21 2018 > > I love the communication concept with proximity chat etc., yet I am kinda concerned about external communication, e.g. through Discord or Teamspeak. > > If players use such programs while playing, they gain a huge advantage over people sticking to their role and keeping communication in-game, for example when plotting something secretely or communicating with somebody over long distances. Thus both couriers and chatting discretely in-game become pretty much unnecessary for such players. Because why would I send a message to my King in-game warning him about an enemy invasion when I could simply send him a message through Discord, which he would recieve immediately? > > Isn't there any way to prevent this? E.g. by blocking access to these programs while CoE is running? I know this might be quite controversial, but I feel like this breaks the immersion and pretty much makes systems like proximity chat or postal services unnecessary. Of course there'll always be several methods to avoid these restrictions, I am aware of that, yet I still think some restrictions would be beneficial to the game. > > (sorry if this has been discussed before, I couldn't find any forum posts covering this topic. If there already is one, I'd be glad if anyone could send me the link) Caspian talked about the effect of VOIP on the game's systems in detail a long time back, in ye olde design journals (I can't find the particular one, though). His view, basically, was that it'll happen and you can't stop people from direct messaging or sharing stuff out-of-game. However, there will always be the requirement to engage with the world using the in-game communication tools, due to the presence of NPCs and mechanics being connected to in-game data. So, just because you heard on discord that someone is a murderer, that information is meaningless in-game - and you would have to send a courier, or a letter, or travel yourself, to transmit that information to other characters. Similarly, NPCs will essentially always be the majority of the population or a significant minority, enough that you will never be able to entirely avoid dealing with them. Commanders in battles will have to transmit orders in-game to their NPC soldiers, traders will have to write up contracts, you'll have to use gossip tokens in towns, etc. In general it should soften the effect that you would have if the game was 100% players and you could instantly transmit information across the world and have it acted on. Great work SBS, Loving the updates now, each one just gets me that little bit more excited about the next one, Hope 0.4.0 is the one that blows us away into the Elyrian depths of amazement, Keep up the hard work guys, we’re all behind you 110%, and are eagerly awaiting to help you however we can. Great work SBS, Loving the updates now, each one just gets me that little bit more excited about the next one, Hope 0.4.0 is the one that blows us away into the Elyrian depths of amazement, Keep up the hard work guys, we’re all behind you 110%, and are eagerly awaiting to help you however we can. Many hands make light work. But it is real refreshing to see a developer how is consistent in it`s communication and updates for the community. Following a lot of MMOs a lot crowd funded. Soulbound Studios is special and deserves our support, cant wait for this great game. I think i got a twitch waiting. But it is real refreshing to see a developer how is consistent in it`s communication and updates for the community. Following a lot of MMOs a lot crowd funded. Soulbound Studios is special and deserves our support, cant wait for this great game. I think i got a twitch waiting. Please don't regard this as criticism, but more of curiosity and interest on where things are on the 'time-line'! In a year of foundation, you mentioned 'Survival Mechanics' together with 'World Interaction' as part of release 0.2 and 'Combat', 'Crafting', 'Identities' together with 'Skills' as part of release 0.3, but there seems to be no mention of implementation on these points. Have they all been rescheduled and if so to when? Please don't regard this as criticism, but more of curiosity and interest on where things are on the 'time-line'! 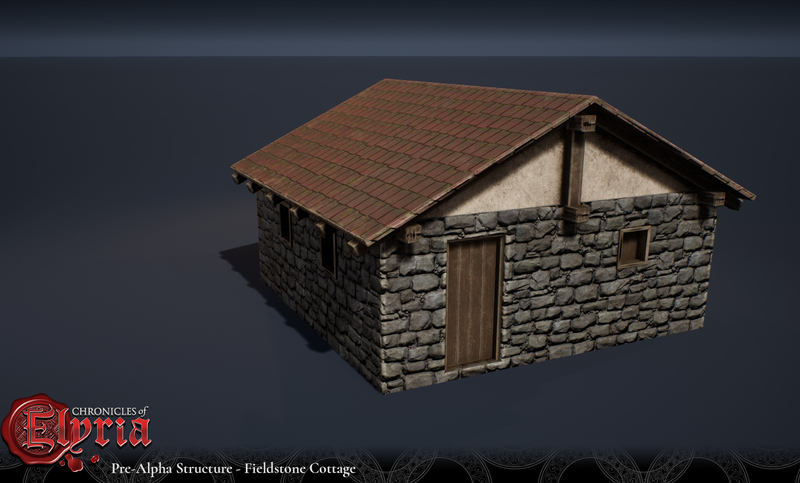 In [a year of foundation](https://chroniclesofelyria.com/blog/23401/A-Year-of-Foundation), you mentioned 'Survival Mechanics' together with 'World Interaction' as part of release 0.2 and 'Combat', 'Crafting', 'Identities' together with 'Skills' as part of release 0.3, but there seems to be no mention of implementation on these points. Have they all been rescheduled and if so to when? Vox is really coming along. The first time I saw it I wasn't sure. I love the amount of detail on the bricks, shingles, wood, and window on the exterior. The inside as well looks pretty spacious and looks like you could store a lot of stuff in there. Likewise the tree is no doubt blocky but still it looks like what you would expect a tree to look like in low poly voxels and is a lot better than many other games that use voxels if you ask me. Vox is really coming along. The first time I saw it I wasn't sure. I love the amount of detail on the bricks, shingles, wood, and window on the exterior. The inside as well looks pretty spacious and looks like you could store a lot of stuff in there. Likewise the tree is no doubt blocky but still it looks like what you would expect a tree to look like in low poly voxels and is a lot better than many other games that use voxels if you ask me. Nicely done SBS. Great catch on the building size! I took it to be fairly utilitarian and so more of a commercial type building. The small windows would make it good for storage of maybe as a crafters building? 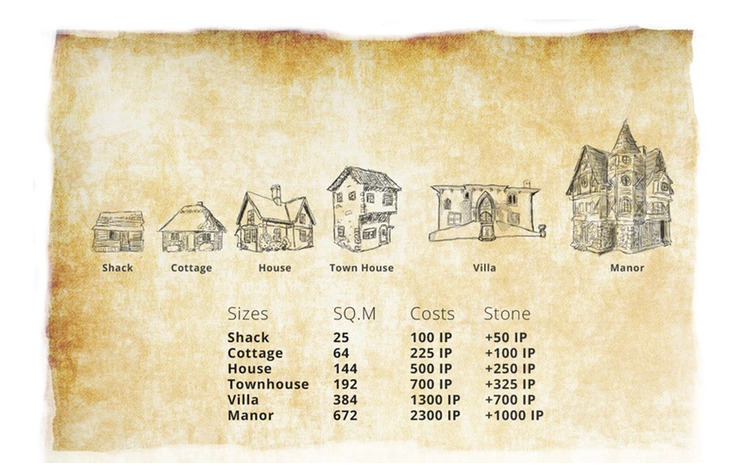 I have been waiting for more building info. Markof, Great catch on the building size! I took it to be fairly utilitarian and so more of a commercial type building. The small windows would make it good for storage of maybe as a crafters building? I have been waiting for more building info. Great news! Your feats are as impressive as always. I'm getting more and more hyped with every update! Absolutely love these updates, and holy cow this stuff is looking gorgeous. i's good to see new pictures, and get news on game development! Congratulations for the hard work you are doing! Awesome i really love all of those things you share with us. from the very nice Vardo interior picture i guess the name of the Nomad's wagon is now vardo, or is the vardo yet a new type of wagon ? 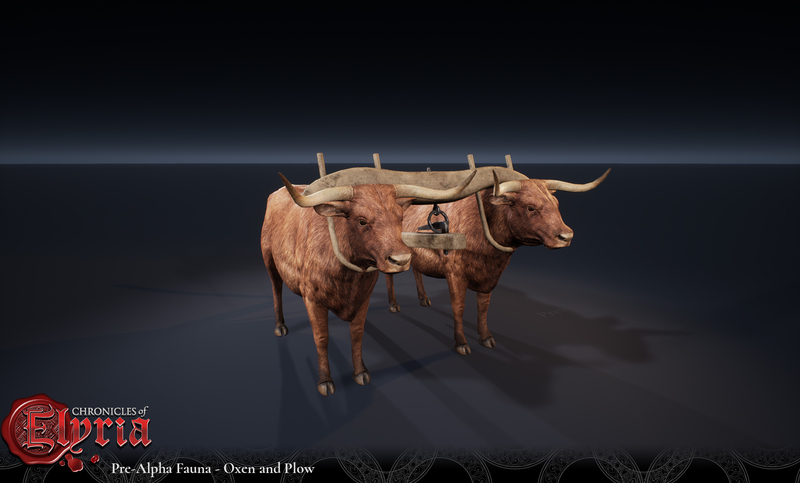 And last try at extracting info from images not meant for that, we have a nice picture of an oxen and plow, from the farm kit we had in the store, i assumed that the ox was a medium "mount" like the horse as it seemed intended to be able to pull a wagon alone. The picture display a plow pulled by two oxes, can those be replaced by other medium mounts ? does it exist single mount yoke ? if so does it require a large mount ? Awesome i really love all of those things you share with us. The thing is that those images are so cool and detailed that i could not prevent myself from checking things.... The fieldstone cottage presented to us seems to be roughly 36 m² (approximately 6 x 6) which is not the size described in this old sheet ! (https://imgur.com/6PY0yAW.jpg) but is spot on with this old one ! (https://imgur.com/fy5geeF.jpg) We know that those are old, they date back from the KS and things have changed and will probably keep changing, but i also know that those numbers are still used quite a lot by people to both get an idea of scales and plan ahead. 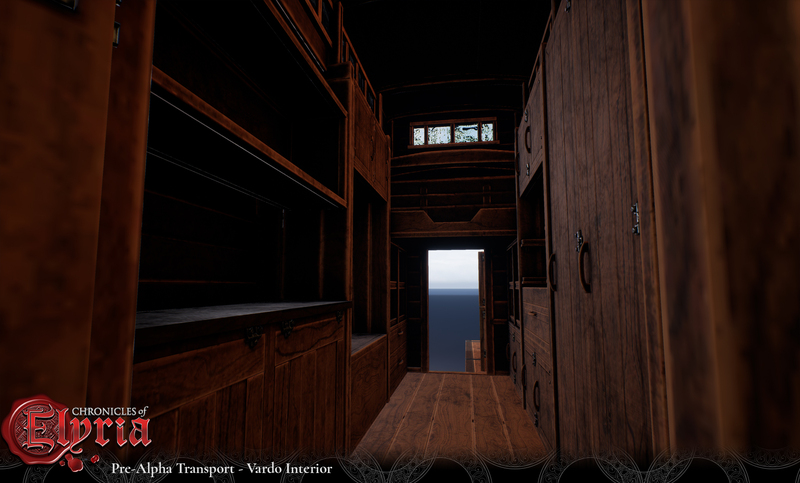 Will it be possible to get some new, fresher, consolidated numbers (i'd love a new nice sheet but i'll totally be happy with the raw numbers:) ) from the very nice Vardo interior picture i guess the name of the Nomad's wagon is now vardo, or is the vardo yet a new type of wagon ? And last try at extracting info from images not meant for that, we have a nice picture of an oxen and plow, from the farm kit we had in the store, i assumed that the ox was a medium "mount" like the horse as it seemed intended to be able to pull a wagon alone. The picture display a plow pulled by two oxes, can those be replaced by other medium mounts ? does it exist single mount yoke ? if so does it require a large mount ? Good Eye. That's actually my personal bad, even - that's not a fieldstone cottage, it's a fieldstone shack. I miscaptioned it when I put the shots together, sorry about that, everyone! Great so i was a bit off on my estimate and it is a 5 x 5 shack, make sens doors are less than a meter so it is not 6 x 1 m but 6 x 0.8 so closer to 5. Nice really, its way better looking than what i was expecting for a shack. Posted By **Snipehunter** at 5:39 PM - Tue Jun 19 2018 > > Posted By **markof** at 12:16 AM - Tue Jun 19 2018 > > > > > Awesome i really love all of those things you share with us. > > > > The thing is that those images are so cool and detailed that i could not prevent myself from checking things.... > > > > The fieldstone cottage presented to us seems to be roughly 36 m² (approximately 6 x 6) > > Good Eye. That's actually my personal bad, even - that's not a fieldstone cottage, it's a fieldstone shack. I miscaptioned it when I put the shots together, sorry about that, everyone! > > Hope that helps! :) > Great so i was a bit off on my estimate and it is a 5 x 5 shack, make sens doors are less than a meter so it is not 6 x 1 m but 6 x 0.8 so closer to 5. Nice really, its way better looking than what i was expecting for a shack. Chocolate confirmed. 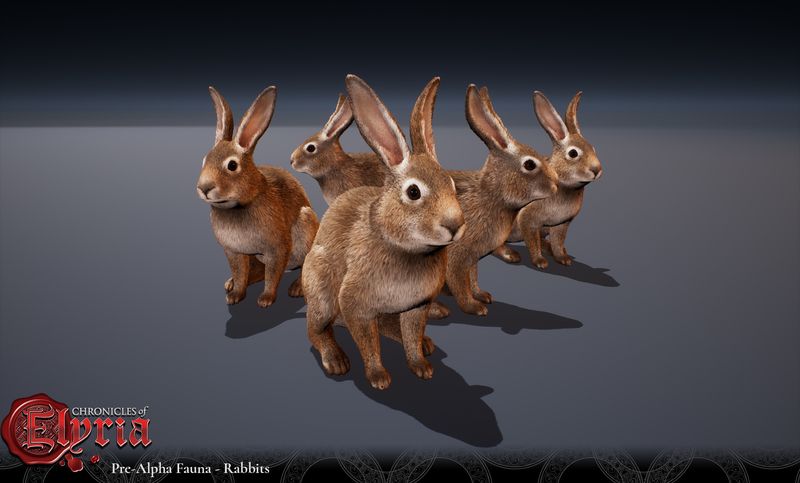 Bunnies confirmed! Chocolate bunnies? Looking good! Hot chocolate confirmed?! @Souzou , I will happily talk about soil!!! Farming, Forestry, Biology, Anthropology... Anything! Thank you for the wonderful tidbits. Ps. Love the shears and the Squirrel tail knife. 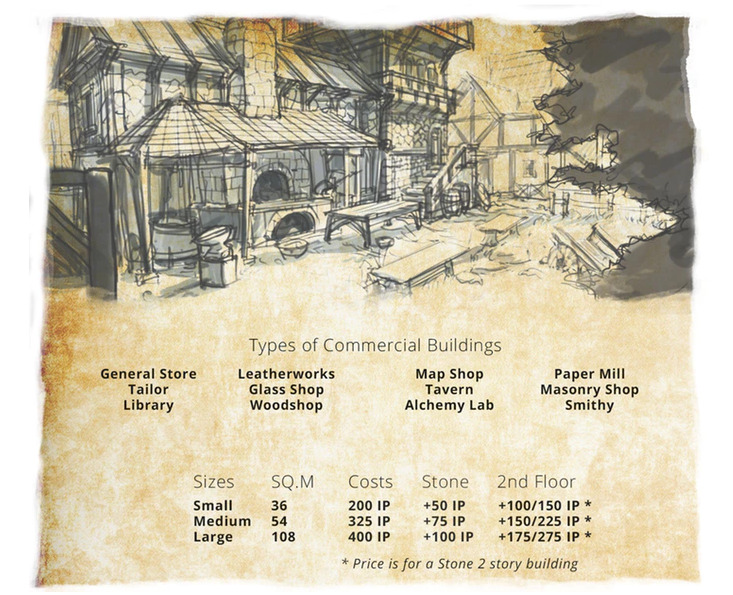 Posted By **Snipehunter** at > > Speaking of the design guild, our quest this adventure was nothing short of the realization of the world. 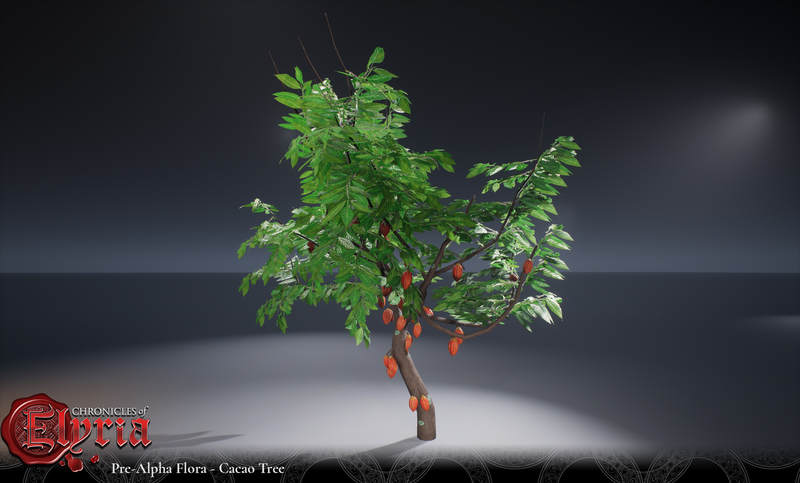 Whether it was working out the systems governing the enrichment of soil and the growth of plants, working with the content team to help define the cultural elements of tribes, or authoring the reams of data necessary to bring each biome’s flora and fauna to life, we rose to the challenge. And, trust me, at this point you can’t ask Souzou a question about deserts, forests, shrublands, or wetlands he hasn’t already researched. Actually, if you really want to make Souzou happy, ask him about soil. Ask him *anything* about soil. *Trust me*. ;) > @Souzou , I will happily talk about soil!!! Farming, Forestry, Biology, Anthropology... Anything! Thank you for the wonderful tidbits. Ps. Love the shears and the Squirrel tail knife. 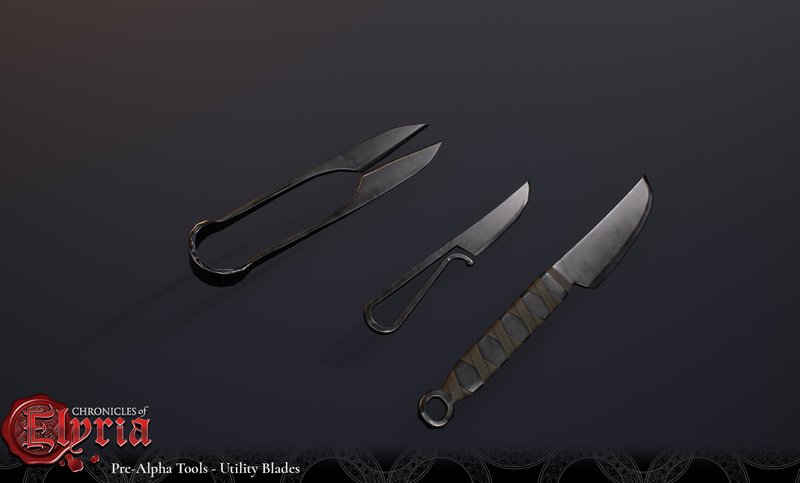 10/10 I'll be honest the tribal weapons were a bit iffy in my opinion but I love all the screenshots here expecalilly the utility knives omg I love the detail of three different types! Nice, keep it coming Snipehunter. Good job indeed. Ahhhh so exciting to have more information! Thanks for the hard work, as always to this wonderful team at Soulbound. And for Souzou, is the sediment at the bottom of the ocean also considered soil even though it's underwater? Ahhhh so exciting to have more information! Thanks for the hard work, as always to this wonderful team at Soulbound. And for Souzou, is the sediment at the bottom of the ocean also considered soil even though it's underwater? The pictures have become very beautiful, I am looking forward to try it out. And I have to admit that I like to be able to watch a video again, for example how to read tracks and do the bow chase. You fail to dodge. The Ol' Chart of Soil crits you in the face for 1000. No joke, it fell on the mailman and we didn't find him for a week. You fail to dodge. The Ol' Chart of Soil crits you in the face for 1000. No joke, it fell on the mailman and we didn't find him for a week. Love the look of those materials! Very nice work! .... also ... what is Souzou's favourite soil type for this game, and why?